Known for its laid-back charm and plentiful activities, Key West, Florida is as great a place for families as everyone else who passes through here. Surrounded by turquoise waters, this tropical island offers it all, and a stay in Key West is not the same if it isn't preceded by the beautiful and surreal drive on US-1 down from Miami. Key West vacation rentals add a whole new dimension to your stay, as the lifestyle of local and tourist is perfectly blended. 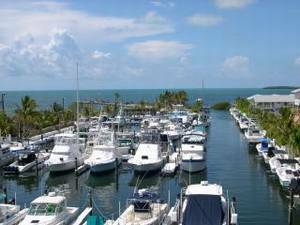 The Key West rentals are available in various types of accommodations to suit your family's needs and budget. Depending on the rental, you can save quite a bit compared to a hotel or motel, especially when you consider the amenities such as having multiple rooms and a fully functional kitchen. Stock up on food if you want and have quiet family dinners, but you don't want to miss out on the experience of Key West's restaurants and the fresh seafood that is available on any day. Peruse the shops along Duval Street from end to end and visit the several museums on the island, such as Ernest Hemingway's home or museums catering to your craving for art and history or maritime knowledge. Key West is a walking town and a walking tour will get you to see the magnificent architecture and hidden treasures of the islands gardens and pathways easily missed on car or bike. With Key West condo rentals so conveniently close to everything, you can forgo driving altogether and either rent a bike or walk to wherever you want. Head out to Mallory Square to watch the locals entertain the tourists and see the beautiful sunsets, or even go for a sunset cruise for an entirely different experience of nightfall. Sailing, diving, fishing, snorkeling, and even boat tours of the natural wonders around the island are within reach from your Key West vacation condo. A fast-paced jet ski tour around the island is also an unforgettable experience. Comfort is sure to be had by all at Key West vacation rentals, but be sure not to miss out on the unique attractions here. Explore the Victorian homes, some of which house treasures from pirates to diplomats, or head out to the Southernmost Point, where a land-locked buoy indicates the direction and distance to Cuba. The atmosphere of the island is much like a Caribbean destination, and the entire family will feel refreshed when they stay at Key West rentals. Have your own leisurely time inside and out. From your first talk of booking a stay with a homeowner, you'll realize what has lured so many people to Key West over the years. Plan a stay at a tropical paradise close to home, and speak with an owner of Key West vacation rentals today about options that will ensure the comfort of the entire family. An extraordinary experience is in store for everyone by choosing a quaint and charming Key West vacation condo to base your adventures from. You'll find it much more satisfying than the typical hotel or motel, and the entire vacation will be fun and memorable. Check out nearby Cudjoe Key , Islamorada , Key Colony Beach , Key Largo , Little Torch Key , Marathon , Miami .